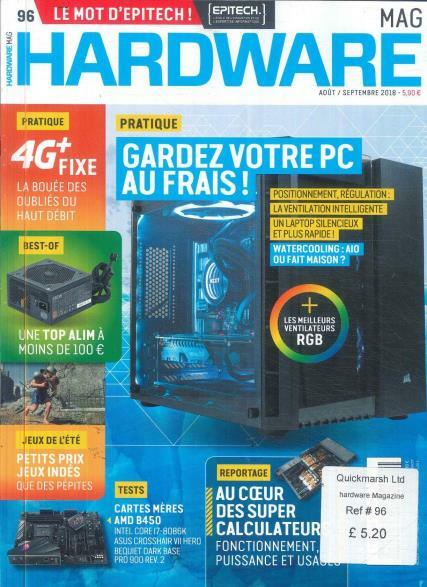 Hardware is a French bimonthly magazine made to handle all your questions regarding PC hardware. Buy a single copy or subscription to Hardware magazine. Troubleshoot, boost and save your PC; with the help and expertise of Hardware magazine you can resolve any problems you face with your PC. Read the different articles to optimise the components of your hardware and experience. Hardware also features product reviews and a buyer’s guide.